Hana's Heaven - a charming 2 bedroom cottage complete with full kitchen, living room and 3 lanais. Wake every day to the sunrise and ocean expanse. Off the beaten track, this home away from home is quiet and serene, the perfect place to relax and enjoy nature. Nearby beaches offer surf and swimming and nature hikes begin right out your front door. Hana town is just 3 miles down the road and the Ohe'o Gulch/Seven Sacred Pools a few minutes in the other direction. Hang gliding, riding, cycling, snorkeling are all easily accessible. Beautiful unobstructed panoramic view of the ocean. Sunrises and moonrises are particularly stunning. Dishes and utensils provided for 4 people. A variety of serving dishes. Stunning views, well designed, furnished layout of home, beautiful grounds! The stay at Hana's Heaven was so special for us. The property is gorgeous and offers wonderful views of the ocean from three lanai's. The layout of the house was well thought out with bedrooms located on either end of the home. Everything you need to keep you comfortable is available; bedding, towels, beach towels, beach chairs, boogie boards, lounge chairs, kitchen utensils, pot/pans, appliances, etc. The property has been landscaped beautifully and the owners brought fresh fruit to us from the property often - it was delicious! They were always available when needed to ensure our stay in Hana was perfect.......and it was. Hana Heaven is aptly named. In addition to being clean, quiet and comfortable, this amazing place is incredibly peaceful, spectacularly beautiful and delightful in every way. The 4 of us had a great time. We would definitely stay here again and highly recommend as an unforgettable experience. What a great place. The views are breath taking. The beautiful deck was a wonderful place to relax and enjoy the beauty around you. We really enjoyed chatting with the property owner Larry. He is very knowledgeable about the area and a very kind host. We also enjoyed petting the kitties. Highly recommend staying here. My husband and I had a wonderful time celebrating our wedding anniversary at Hana’s Heaven. 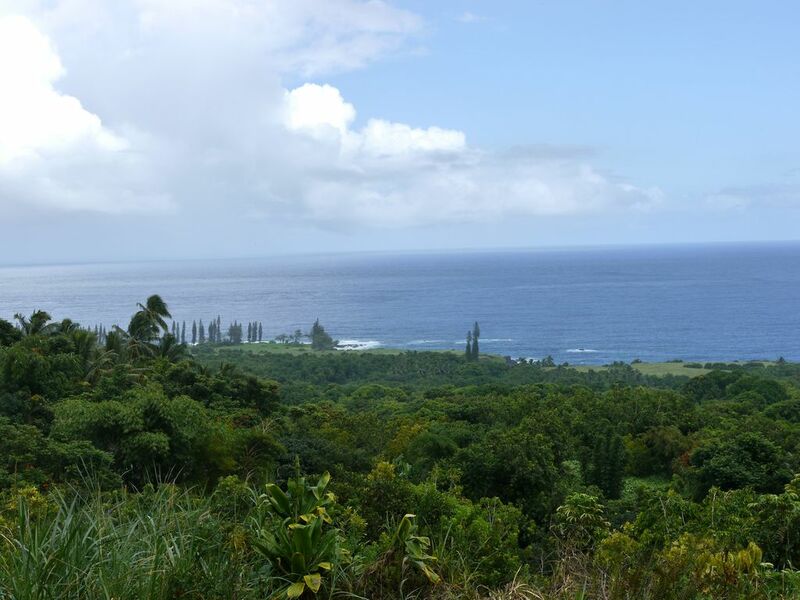 The spot is peaceful, well-equipped, and in a perfect location close to beautiful beaches and Hana town. We’ll be back again! The best vacation rental in Hana! We had a fantastic stay at this gorgeous home. The location is serene, and the property is kept immaculately. The whole place is off the grid—running on solar and catchment—which is excellent. Larry, the owner, is as friendly as can be, and an all-around stand-up gent. The road is right across from the entrance to the Venus pool, and just a short drive from Koki, Homoa, and Hana town, making this place the perfect home base for adventuring. Just a note: If you haven't been to Hana before, you'll need to set your expectations for a stay in the jungle: The shared driveway is unpaved and a bit bumpy—you'll no doubt encounter a few bugs and mosquitoes—it will probably be warm, humid, and rain at some point. That said, if you appreciate true beauty, this place is the best that Hana has to offer! Mahalo, Larry—we can't wait to book another stay!! !